The position of the house makes of it an ideal base for daily trips to many locations within easy reach. Here is some advice about places to visit or things to do around Casa isabella. This charming little town lies in a strategic position where several road connecting Piemonte with Liguria meet. The settlement was already existing in the neolithic, but its important grew in the Roman times with the construction of a road which opened communication between the Ligurian coast and the Po Valley through the Appennines Range. The prestige of the city was not only due to its positioning along this road but also to the the thermal sources, among the most important of the whole Roman world; the city had three spas and some of their remains can be seen still today. A monumental aqueduct granted the city with fresh water for the spas and for domestic and productive use as well. The thermal waters supported Acqui’s standing in the following historical periods up to nowadays. 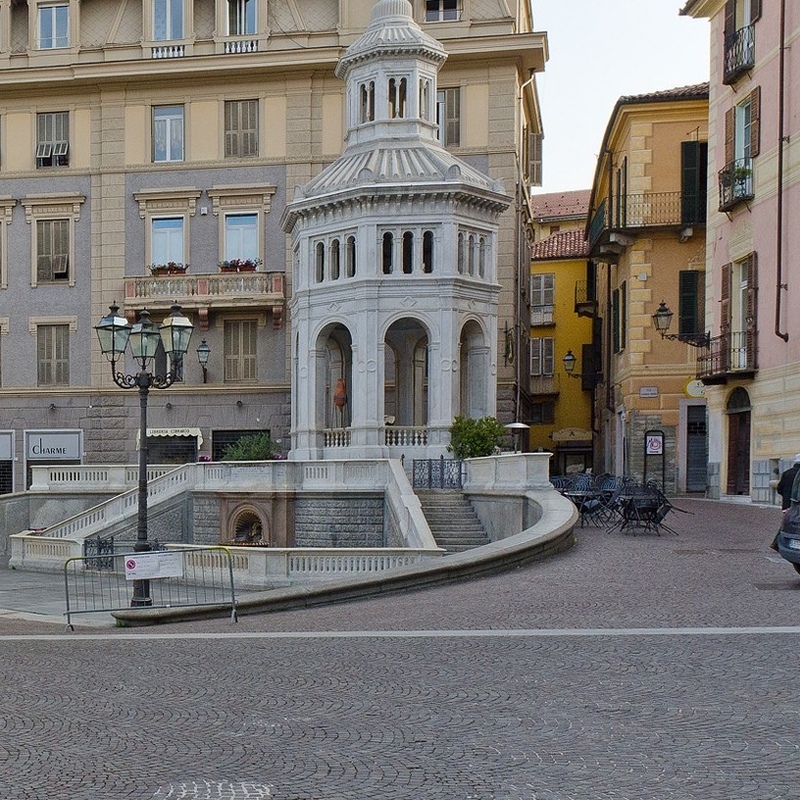 The first place to go is thus Piazza della Bollente: in the centre of the square you will see the fountain, producing 560 litres of thermal water with a temperature of 74 °C. The roman aqueduct, of which we can admire the remains, was originally built on a length of 13 km and it is one of the best maintained of northern Italy. Other witnesses of the roman times are the remains of the Calidarium pool of of one of the Spas. There are other interesting historical buildings dating from the XV and XVI centuries, such as the Bishop Palace, the Santa Maria Maggiore Hospital and Palazzo Robellini (which host the Enoteca Regionale in its cellar). In any case is is worth to just spend some time in the old town, stopping by some nice cafe or restaurant or enjoying some relax in a spa. From Acqui Terme, with a 30 minutes drive, you can reach Sassello, a small town on the Ligurian side of the mountains, for many years one of the favourite places for summer holiday by people living in Genoa. The area is famous for its mushrooms and for its Amaretti. In hot summer days, you can stop on the road between Acqui and Sassello to have a refreshing dip into small ponds formed by the mountain stream; some of them, more hidden and requiring some effort to reach them, are beautifully situated underneath small waterfalls and totally surrounded by wilderness. Asti is a nice city, which display many witnesses of its historical importance over the centuries. It was founded by the romans and from that period the highlights are the Torre Rossa (originally the west port of the city), the Domus Romana, and the remains of the amphitheatre, the spa and the forum. Torre Rossa lower section is of roman built, while the upper part dates from the XI century. During the middle ages Asti was an important commercial and financial center, and consequently, the city benefits from the most rich heritage from this period of the whole region: you can visit the Cripta di Sant’Anastasio e San Pietro in Consavia, San Secondo, the cathedral, the Madonna del Portone, Palazzo Catena, and admire the many private residences just walking around the old town. Asti is also world known for its wines, the most famous of them having the name of the city itself. There are three events taking place in Asti every year in September: Douja d’Or, one of the most important wine competitions in Italy; Palio, a horse race with an history which dates back many centuries; Festival delle Sagre, the weekend before the Palio: the cooking crews from 40 different villages of the Asti Province prepare their traditional recipes, creating the most extraordinary open air restaurant. Like Monferrato (where Casa Isabella is), Langhe and Roero are historical regions of Piemonte, covering part of the hilly areas of the Asti and Cuneo provinces. Alba is a small town with a beautiful middle age heritage, and it is rich in interest for the wine and food lover. The top products are are the white truffle, wine and hazelnuts. The food industry is very important with Ferrero (Nutella was created here in 1964). The regional university courses for grape growing and wine making are run in Alba and students contribute to create a sparkling atmosphere. Between October and November the White Truffle Fair offers many events to visitors not only related to food and wine but also to art and culture. For an unforgettable food experience, we suggest a dinner at the two michelin star Piazza Duomo restaurant, where chef Enrico Crippa is able to give happiness to lovers of high quality cooking. Barbaresco is a charming village not far form Alba. The Enoteca Regionale, hosted in the old church of San Donato, is the right place for local wine tasting. The wine that takes the name from the village is an excellent product and a vast to a small maker is also adviced. From the top of the middle age tower, in clear days you can enjoy a breathtaking view spanning to the Alps. Neive, close to Barbaresco, is a very beautiful small village that is worth visiting. It the town hall is hosted the small “Museum of the Wild Woman”, where the hand drawn grappa labels of the artist/distiller Levi are displayed. 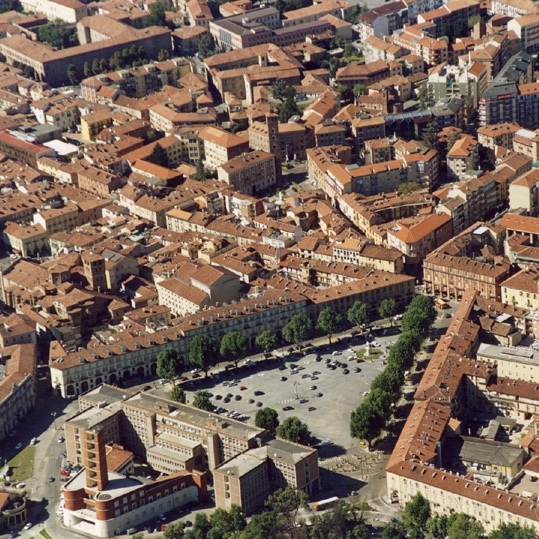 Alessandria has a more recent history compared to other cities in the area, such as Acqui Terme and Asti: it was founded in 1168. The historical heritage is thus less relevant, but the old town is a pleasant place to have a walk, with nice restaurants and shops; and outside it, large squares and wide road with trees give to the city a good overall feeling. 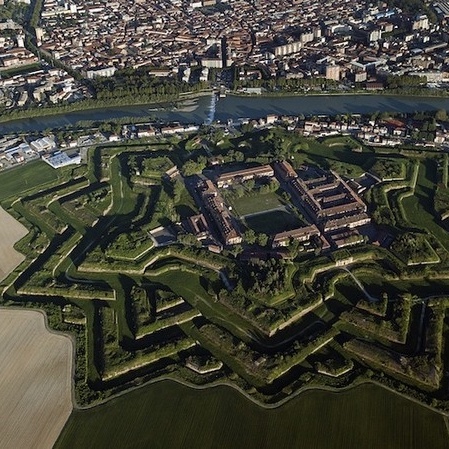 To the north, just across the river, lays the Citadel, one of Europe’s largest and probably the best preserved military fortification of the XVIII century. 30 minutes south of Alessandria is Ovada. The old town shows a deep influence from Liguria, with narrow roads connecting the central square to the doors of the city and with the house facades decorated with tromp l’oeil technique. Most of the city activities take place in the charming old town, including the monthly antique market. Serravalle Scrivia was a small fortified village, on one of the roads connecting Piemonte to Liguria. Nowadays it more know for the huge Shopping Outlet built (with a not-so-bad architecture) close to it: if you are into big brands shopping and discounts, this is the place for you, but we strongly suggest to avoid weekends because the place is usually extremely crowded. 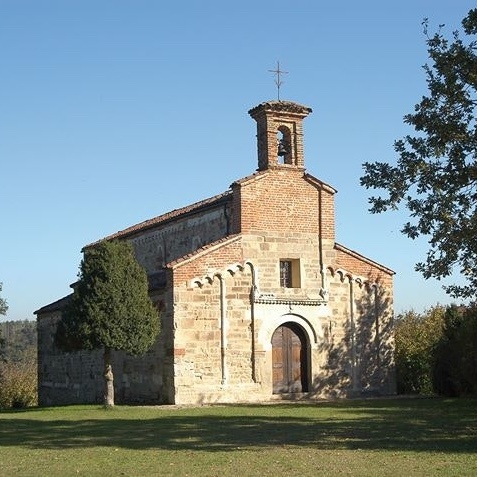 The Romanesque Pievi are spread among the woody hilltops or hidden in small cemeteries in the area north of Asti, and they have an extraordinary charme, even if their original religious meaning has been lost over the centuries. Among these important middle age witnesses the most important for size and artistic value is the abbey of Santa Maria di Vezzolano. The others are much smaller, but the benefit from harmonic proportions, wonderful stone works and an incredible relationship with the countryside landscape around them. – Montiglio, San Lorenzo, displaying outstanding stone chapters. Barolo, a village laying on a small flat area surrounded by higher hills, gives its name at the high quality world know wine. Beside some good excellent wine tasting, our suggestion is to visit the castle. 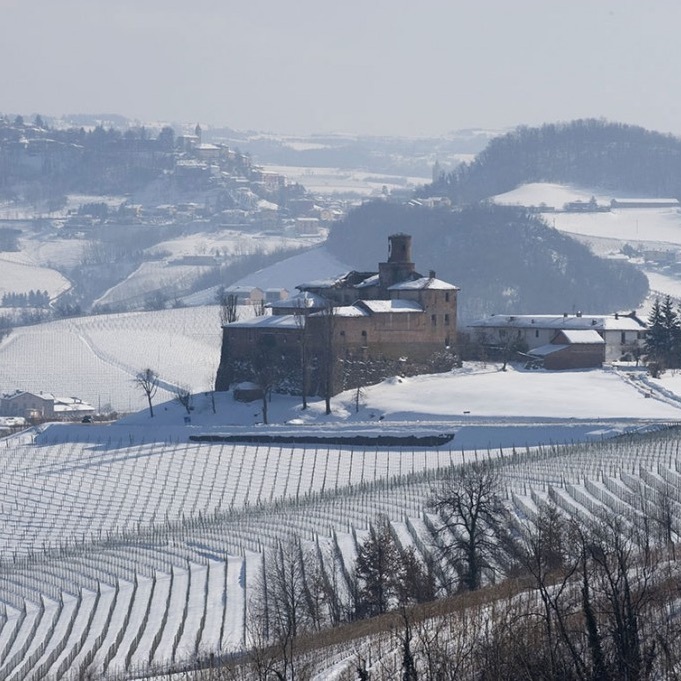 The castle of Barolo was originally built in the X century, to defend from attacks by Hungarians and Saracens. Around 1200, family Falletti heavily renovated it to become their official residence and when the family moved to Torino, in 1814, the castle become their countryside residence. 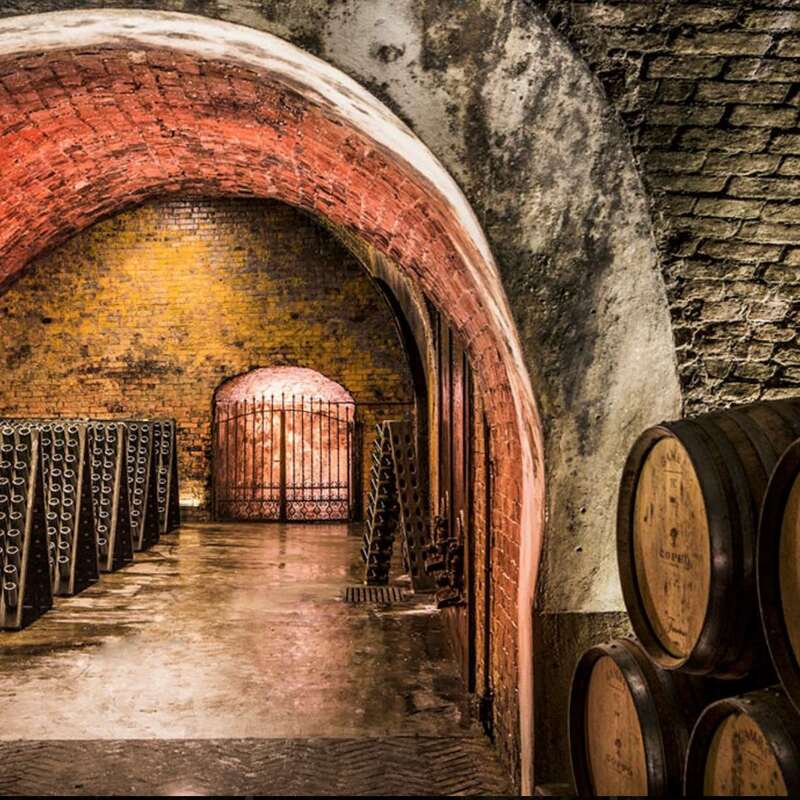 Today, the castle hosts the Enoteca Regionale, one of the best starts for knowing Barolo wine, the recently built and very interesting Wine Museum, an Etnoghraphy Museum and the Falletti family library with 3.000 books dating from the XV and the XIX century. There are many antique markets in Piemonte: we here suggest some of them for their peculiarity or their unique feel and for the proximity to Casa Isabella or to other places you might visit while here. A Torino, in the amazing Piazza Vittorio Veneto, every first Sunday of the month the antique market gathers more than 80 sellers. A Porta Palazzo (Piazza della Repubblica), oltre a trovare il quotidiano mercato all’aperto (il più grande d’Europa), on the second Sunday of the month takes place the Gran Balon, with over 200 stalls. The Alessandria province, at the centre of the Milan-Turin-Genoa triangle, is a traditional area for exchange and trade. 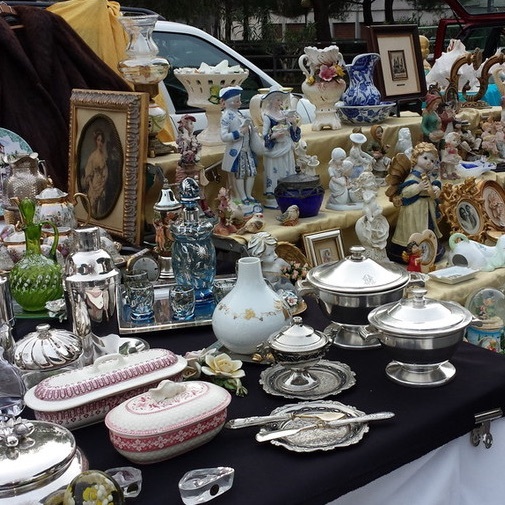 The monthly antique market of Alessandria, in the squares and streets of the old town is a good occasion for finding interesting objects, housewares and forniture. Other markets periodically takes places in the nearby towns of Casale Monferrato, Novi Ligure, Ovada and Tortona. Asti too hosts antique markets in two of the most beautiful city squares: Piazza San Secondo and Piazza Cattedrale. Finally, in Nizza Monferrato few minutes from Casa Isabella, from dawn to sunset of the third Sunday of the month, you will find one of the most popular antique markets of the whole region with a large number of sellers offering a wide range of different objects: furniture, lamps, books and comics, music records and music players of all sorts, tools, toys, fabrics, embroidery and many many others. 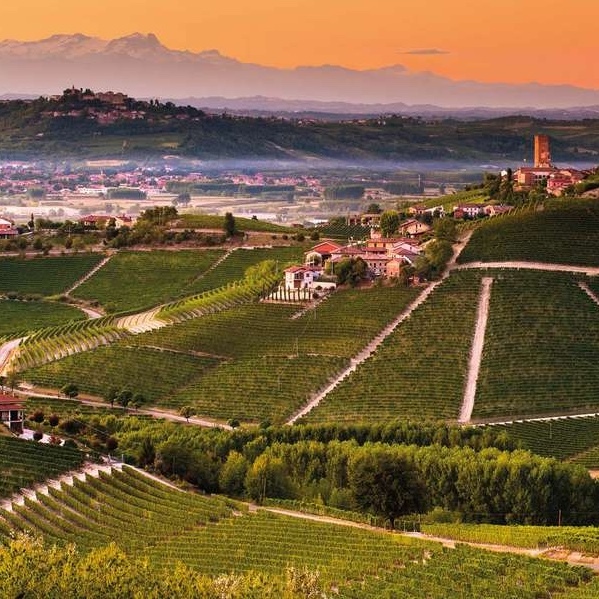 The areas of Langhe and Monferrato are worldwide known for their wines. We think that it is worth spending time to get some knowledge of them by visiting some local winery, tasting excellent wines and at the same time meeting the people who make them. Among the many quality wine producers in the area Cantina Incisiana in Incisa Scapaccino, Luigi Spertino in Mombercelli, Cascina Vigna at Costigliole d’Asti, Viticoltori Associati di Vinchio e Vaglio Serra and Coppo in Canelli. Torino (Turin) is a city with a two thousand years history. Roman colony founded by Emperor Augustus, it still maintains the of the original urban structure. With the Alps on the west side and the hills on the east side, the city is bordered by four rivers; rich baroque buildings and elegant XIX coffee shops face the avenues and the impressive squares. 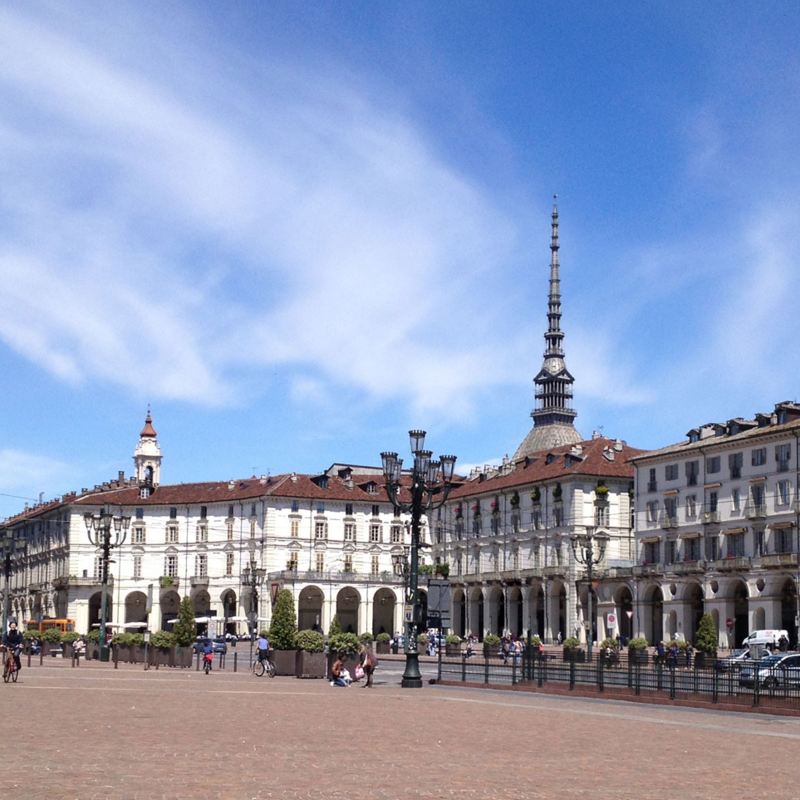 After the unification, from 1861 to 1865 Torino has been the first capital of the Kingdom of Italy. In 1997, part of the old town together with the royal residences in and around the city were included in the Unesco World Heritage listing. 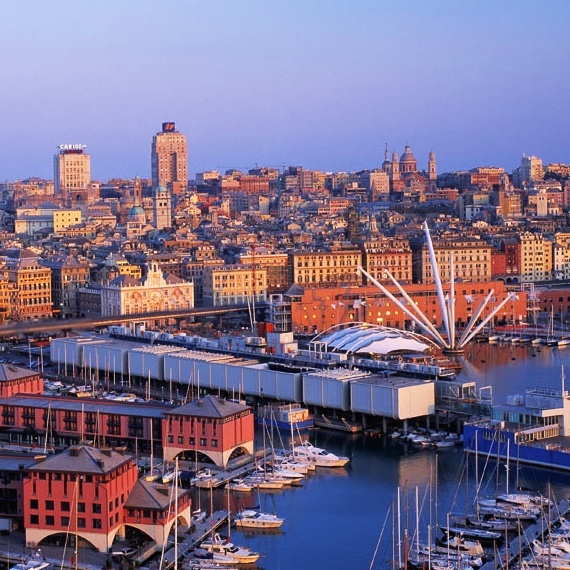 Genova (Genoa) is an old port city and main city of Liguria region. For more than eight centuries it was a ‘Repubblica Marinara’, an independent state which based its wealth on the sea trade of goods between Europe, the Eastern Mediterranean Sea and Asia and developing a strong cultural identity in art, literature, music, cooking and theatre. The Aquarium, built in the old port, is the largest in Italy and the first in Europe for the number of different animal species. Around the old port, an extended network of narrow and dark alleys, can offer the feeling of how a middle age trade city would look like. 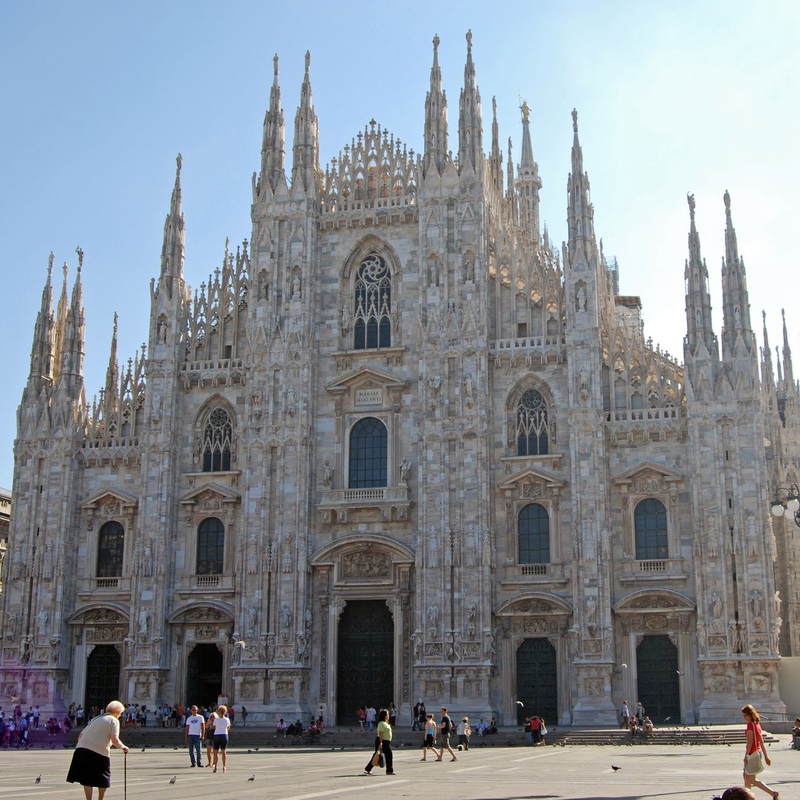 Milano is a world capital for fashion and design. It is northern Italy largest city and host the Italian stock exchange. Beside its importance for business, it is well known for its exclusive restaurants and the elegant shops. Monuments such as the gothic style Duomo, the covenant of Santa Maria delle Grazie which hosts Leonardo’s Last Supper fresco witnesses the rich history from the middle age to nowadays. The area offers many opportunities for sport or recreational activities. Right from the doorstep of Casa Isabella, you can enjoy beautiful hill walks, among woods, vineyards and fields. 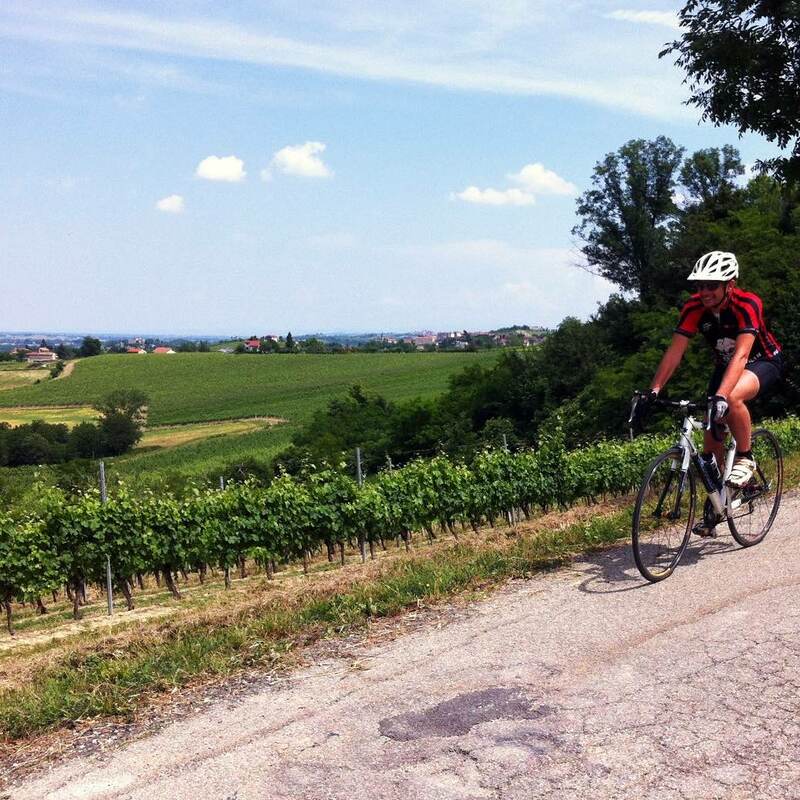 For run and bicycle lovers there are many different path to explore, both on and off road; Alessandro is ready to provide detailed info on the possible itineraries. Fo horse riding there are several opportunities, and we advice Scuderia Serego. With a 30 minutes drive you can reach two different golf courses. If you already practice nordic walking or if desire to try it, Nordic Walking Incisa runs courses and guided walks almost every day.